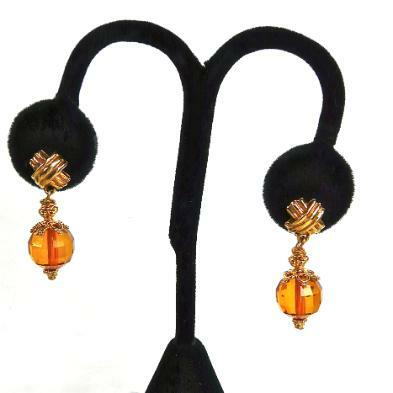 These faceted amber drop earrings are a gorgeous deep honey color. The facts reflect the light as the earrings move which gives them a lot of interest. Amber is the prehistoric fossilized resin of ancient pines. It has been worn since the Stone Age as jewelry. It is symbolic of marriage, considered good luck and often given as a wedding gift.